That led NASCAR to announce its second change to Monster Energy NASCAR Cup Series qualifying in less than a month on Thursday, which will shorten the first two of its group-qualifying elimination rounds at Richmond Raceway this weekend from 10 minutes to five. The third and last session is already set at five minutes in the rules, and will stay the same. The Cup Series uses group elimination qualifying at most tracks now, since NASCAR switched to that from single-car runs a few years ago for more entertainment. It hasn’t worked well in the Cup Series this year, though—new aerodynamics rules disadvantage the driver who leads the qualifying pack, especially at larger tracks, meaning drivers have spent the year clogging up pit road and inching forward in a race to not be first. It’s happening at shorter, mile-long tracks like Richmond, too, as shown by the Phoenix qualifying session in March. That peaked at Auto Club Speedway in California in March, when drivers sat in clusters at the end of pit road. 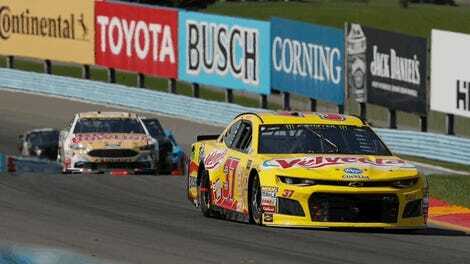 None of the top 12 cars even made a run in the final session, forcing NASCAR resort to times from the second session in order to decide the starting order. NASCAR tweaked the rules soon after. The ordeal made for an extremely NASCAR-esque qualifying session, given that this is a sport where race teams try to get every millisecond of an advantage—no matter how silly or how much cheating it might involve. But wasn’t great for a lot of viewers, since it was almost like a heat of runners purposely crawling the 100-meter dash. 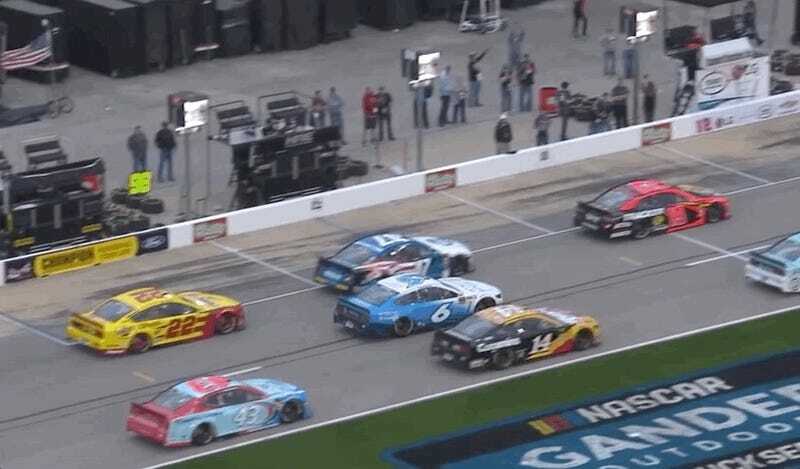 The rules tweaks seemed like they would work, since NASCAR said it would have a staging area for drivers who don’t immediately go out for a lap, and that once drivers leave the staging area, they can’t block anyone and have to proceed to the track. Drivers, instead, found a way around those rules: ducking in and out of the two staging lines on pit road, trying to trick others into going out on track—all without blocking the middle lane, as instructed. A non-penalized blocking maneuver by Ryan Newman can be seen at about 2:30 in this video, and it didn’t go over too well with the driver he blocked. It’s hard to say whether shortening the first two sessions at Richmond will make much of a difference when it comes to clogging pit road and waiting for someone to go, but it’ll at least cut waiting periods in half. With more cars in the first two sessions—around 40 in the first and 24 in the second—it’ll also likely make it logistically harder to wait. But given that it’ll only be in effect for Richmond and that NASCAR bosses have said they’re working on a fix for the problem, cutting session times sounds like more of a short-term fix than anything. No qualifying system NASCAR can come up with is immune to gaming, though, since gaming the system is what NASCAR teams do best.